They haven’t completely left the consumer space, though. 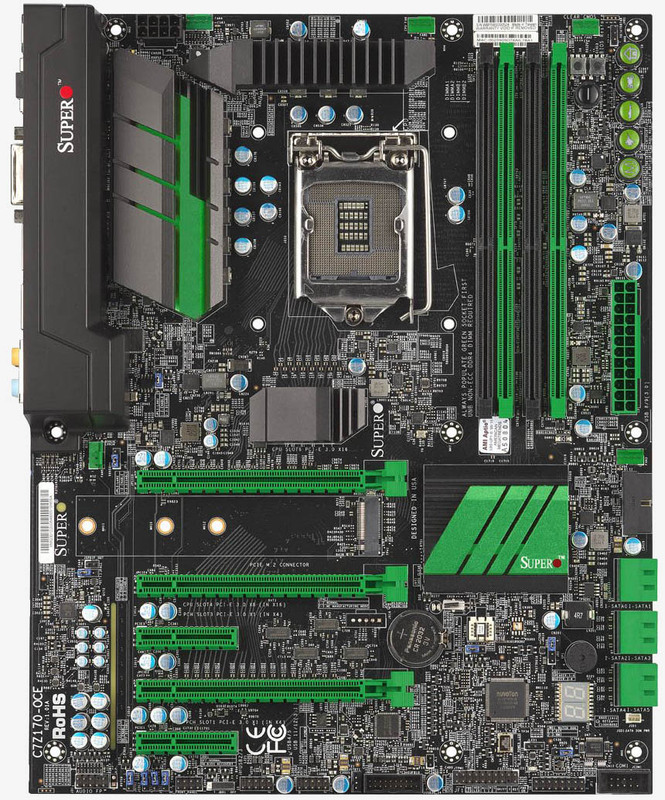 You can find Z390 SuperMicro motherboards on the market, and they’ve continued to manufacture mid-range Intel boards throughout recent generations. While you won’t likely find SuperMicro on store shelves, digging through Amazon does result in some options from the manufacturer. SuperMicro boards are easily recognizable in today’s market, because up until recently they were one of the last manufacturers using green PCBs. The current high-end Z390 offering from the company is often overlooked due to competition from brands more popular with gamers, but it’s actually an impressive board with features not commonly found on the Z390 chipset. The awkwardly-named C9Z390-PGW features a 10-phase VRM and excellent voltage regulation, a PLC chip that doubles the number of available PCI Express lanes from 16 to 32, two M.2 and two U.2 ports, and is loaded with a 10-gigabit Ethernet port, a feature most typically found on server boards (at least for now). Senior VP Vik Malyala told KitGuru that the company is focused on developing gaming-class boards that will compete with high-end lines from other manufacturers, such as the ASUS Maximus and Gigabyte Aorus brands. He also discussed the expansion of SuperMicro’s engineering division and their drive into new markets. SuperMicro has historically been tied to Intel, but Malyala said he expects that to change as well. While he stopped short of committing to boards supporting AMD’s AM4 socket, he did point out that SuperMicro was among the first companies to roll out EPYC server boards. According to Malyala, the company is monitoring the desktop market and is aware of Ryzen’s popularity, so he certainly did not rule out AMD desktop boards being produced. 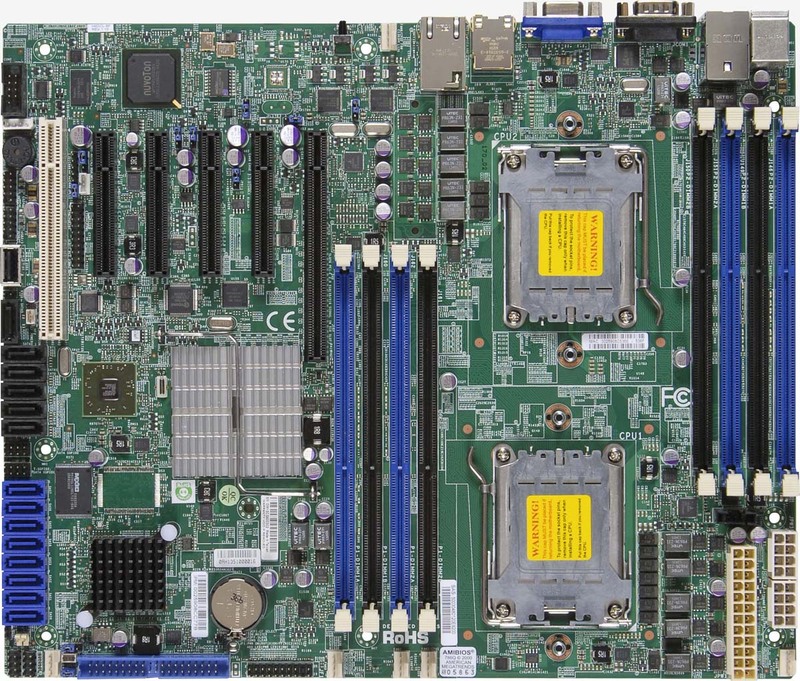 What’s most exciting is SuperMicro’s pedigree when it comes to building boards with high-end features and functionality. The company has built “super servers” capable of running up to 16 GPUs in tandem. SuperMicro has also been at the center of the rise of cloud computing and is a leader in supplying hardware for supercomputers powering deep learning and emerging AI tech. They are also among the first companies to incorporate Apache Pass support into their boards, which enables mass storage in a DIMM format, cutting latency by a factor of up to 100 versus a traditional NVMe SSD or even Optane.